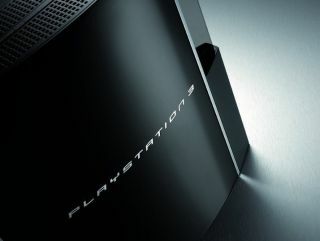 PS3 to get BD 1.1 and DivX before Christmas? The main change in BD profile 1.1 is the addition of the BD-Java-driven picture-in-picture playback. This feature will allow you to watch a BD movie with a portion of the screen devoted to another video stream. So you could watch a movie and then have a video commentary in the top corner, for instance. According to web rumours, this will all be added at some point this month. And it's expected that Sony will add support for DivX-encoded video files too which would be most pleasing for those gamers wishing to make best use of the PS3's media facilities. Most videos that are downloaded from the web are encoded in DivX format, so for a long time gamers have willed Sony to add DivX playback to the PS3. Microsoft added DivX support to the Xbox 360 in its recent six-monthly Dashboard update. So what does this mean for people thinking about buying a Blu-ray player? The short answer is that there is no reason to buy a dedicated BD player over a PS3. Sony's cheapest BD player costs £270, which is exactly the same price as the 40GB PS3. So why buy a BD player when you can get a powerful media hub that can also play high-definition video games?